Trillions of immune cells are scattered throughout our body, all performing vital tasks. When this is altered, it can lead to devastating diseases, where autoimmune/autoinflammatory diseases can be viewed as the poster child of defective or overactive immune systems. Every cell in our body requires energy to perform their specific functions. Generally, this is a well-controlled and ordered process. However, in certain settings, the way some cells derive their energy can be altered, with important functional consequences. We are now learning that the metabolism of immune cells dramatically alters the function of these cells, and a change in metabolism is linked to inflammatory diseases. Immune cells generally react to classical inflammatory signals such as cytokines and damage associated molecular pattern molecules in the setting of sterile inflammation (i.e. heart attack and stroke) or foreign bodies such as bacterial or viral infections. The effect of these processes on immune cell metabolism (i.e. immunometabolism) is an area of intense investigation. The ideas emerging are that immune cell metabolism can be altered to prevent or dampen inflammation and can potentially limit pathologies such as autoimmune disorders. 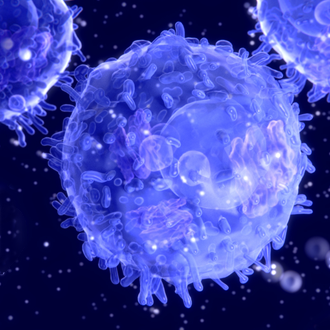 However, immune cells, particularly resident cells that occupy specific tissues, may be controlled by other signalling events, not triggered by classical signalling molecules termed ‘cytokines’. The immunometabolism program is interested in understanding how the metabolism of immune cells underpins their function both in steady-state and disease conditions. We are also focused on understanding how the stem cells that produce immune cells, which reside within the bone marrow, are instructed by neurologically and inflammatory-mediated signals to prime the immune system and release more immune cells into the blood that could have deleterious consequences on the cardiovascular system. This program is largely focused on seminal research discoveries at the cellular level, which can then be explored in whole body systems including humans. We aim to identify novel pathways and how multi-organ communication through immune cells occurs and how this is altered in cardiovascular and metabolic diseases. This allows for the identification of novel interventions and also informs us to why some current therapies are insufficient. We have a strong belief that understanding fundamental biology is absolutely essential for improving human health.